Pope Francis has arrived...as a "plush doll"
Talk about seizing a "holy" opportunity. Seven months before Pope Francis' first papal visit to the United States, one small business is ready to cash in on the historic event. 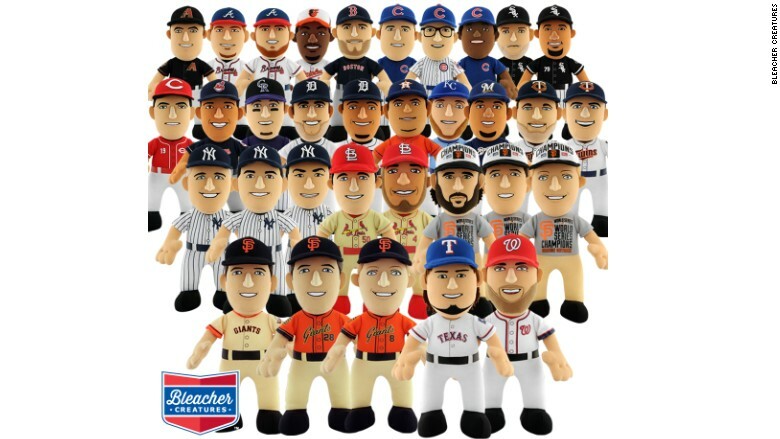 Toymaker Bleacher Creatures is best known for its 10-inch plush figures of famous athletes like New York Yankees' Derek Jeter, the Red Sox's David Ortiz and, most recently, Tom Brady and Rob Gronkowski of the New England Patriots. So how does the Pope fit in to this sporty mix? "Everyone agrees that [the Pope is] an inspirational figure who's tremendously popular around the world," said Matthew Hoffman, CEO of Plymouth, Pa.-based Bleacher Creatures. "He fits in perfectly in our universe of true-to-life plush figures." 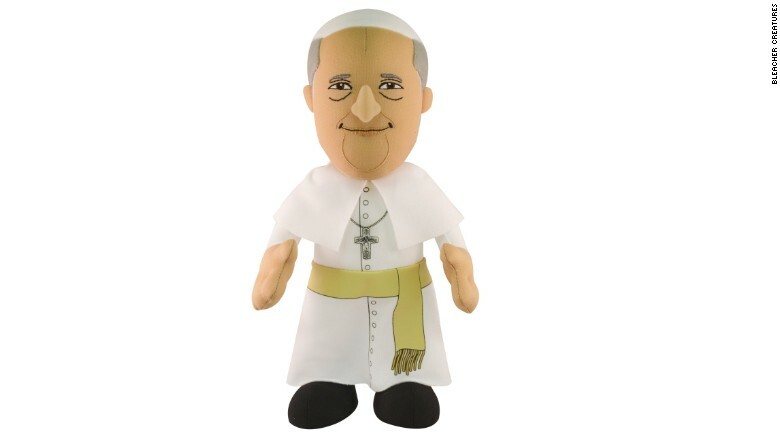 The Pope Francis plush figure costs $19.99 and will hit stores in July. In addition to the Pope, the firm is also releasing figures based on comic book characters and superheroes, including Batman, the Green Lantern, Superman and Harley Quinn. The idea for Bleacher Creatures struck Hoffman four year ago, at a baseball game with his kids. "I wanted to buy them toys at the ballpark, but there weren't many options," he said. So he decided to turn athletes into plush, cuddly characters. He was on to something. Hoffman launched the business in 2011 and hit $1 million in revenue in the first six months. Since then, he's acquired coveted licensing deals with the NFL, MLB, NBA, NHL, and most recently DC Comics and Warner Bros.
"What's really interesting is that half of our customers are kids and half are adults," he said. Although he doesn't expect any backlash for the Pope plush, Hoffman said he's crossing the t's and dotting his i's. "We've done our due diligence and I don't think we're upsetting anyone," he said. "And yes, we have reached out to the Vatican and would love to officially partner with them."